The result of this recipe was kind of a total surprise. This cake turned out nothing like I had originally expected but I could not be happier with the end result. I began baking this cake in an attempt to replicate one of Jessica's favorite cakes. While I failed at replicating the cake that has been one of Jessica's favorites for years I think this one may even be better. I think Jessica may have thought so too because in the couple days after I baked this cake she had 4 slices. 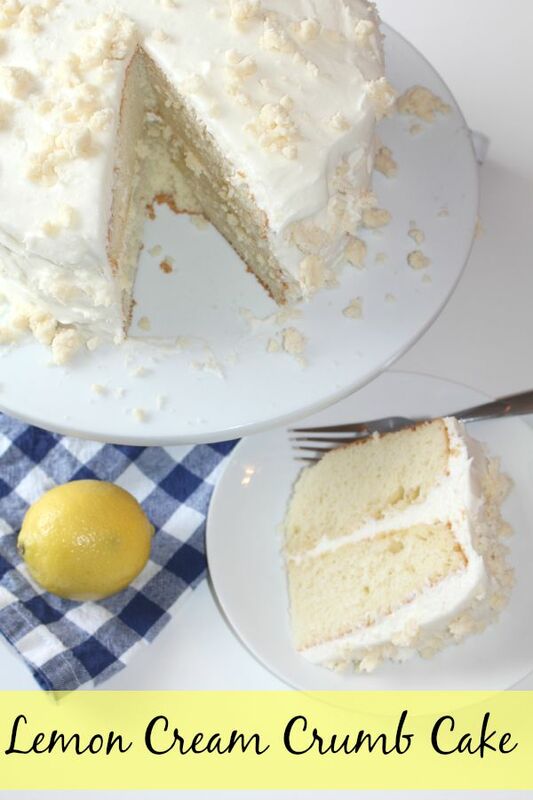 This easy lemon cake recipe is so good I am making it again this weekend to serve to out of town guests. 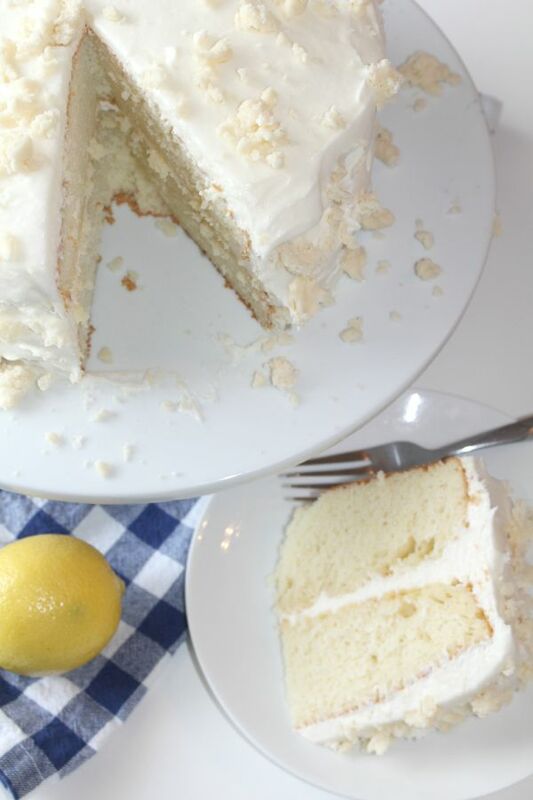 This cake and frosting are light and fluffy with a slightly tangy, fresh lemon flavor that is far from over powering. The crumbs give it some nice texture and while adding another little kick of lemon flavor. Jessica and I area always baking a lot of sweets and usually give away at least half of everything we make. That did not happen with this cake. Aside from sharing with our baby brother and our sister Tiffany we ate this entire cake ourselves. That is how good it was. 1. Preheat oven to 350 degrees F. Spray with nonstick spray 2 eight inch round cake plans and set aside. 2. Prepare cake by mixing together all of the cake ingredients. 3. Divide the cake evenly between the two prepared pans. Bake according to the time on the cake mix box. 4. Allow cake to cool in the pans for 5 minutes, then carefully remove from pans onto wire racks to allow to finish cooling. 5. Prepare the crumb topping: In a medium bowl, combine flour and powdered sugar. Cut in butter and lemon extract until mixture is crumbly. Place in the refrigerator to chill, then break into smaller crumbs if needed. 6. Once cakes have completely cooled, chill a metal mixing bowl, plus the whisk attachments for your mixer in the freezer for 5 minute. Then whip heavy cream in the bowl until stiff whipped cream forms. 7. In a separate bowl, beat the cream cheese, powdered sugar, and lemon juice until smooth. Once smooth gently fold in the whipped cream until combined. 8. Assemble and frost the cake. 9. 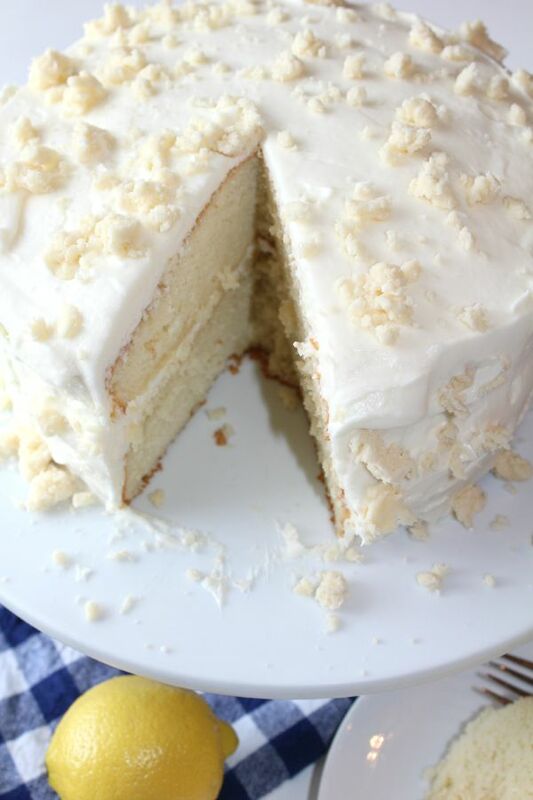 Gently press crumbs onto the top and sides of the cake. ** Cake should be stored in the refrigerator. This looks amazing! My Mom was a big lover of lemon and this would have been a hit with her. I may have to try the recipe for my co-workers! Thank you!! 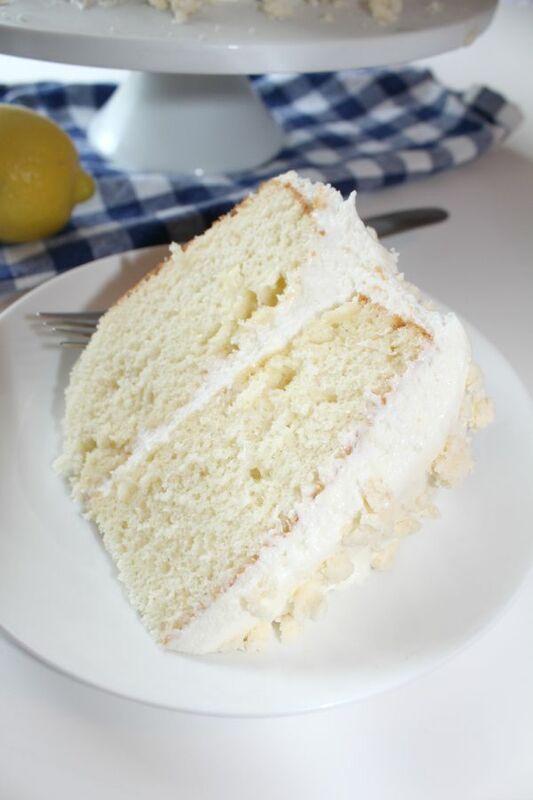 You cake looks so impressive and I'm a fan of anything lemon flavoured especially sponge cake. One to try. Thanks for the recipe ! mmm...i love lemon flavors AND cream cheese! this is a winner in my book!! Yum!!! My lemon trees here in California are still green but growing bigger every day. I will definitely try this in the future once I have fresh lemons.